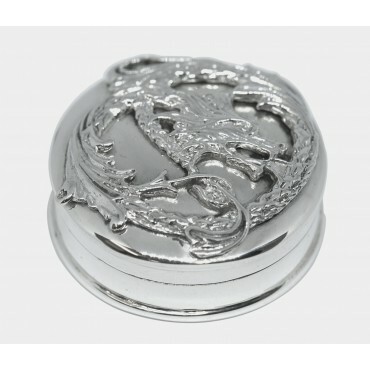 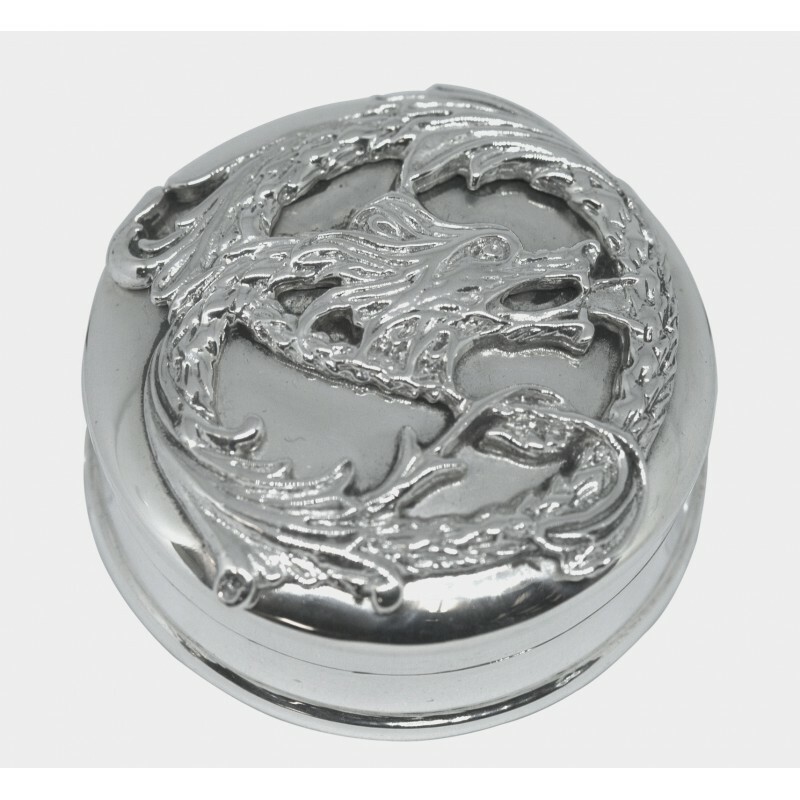 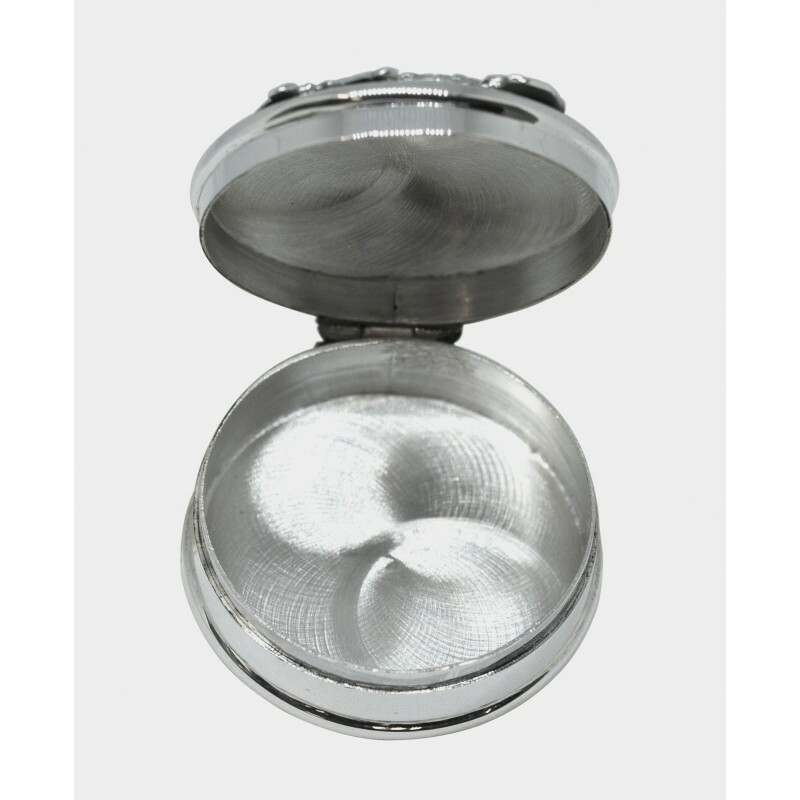 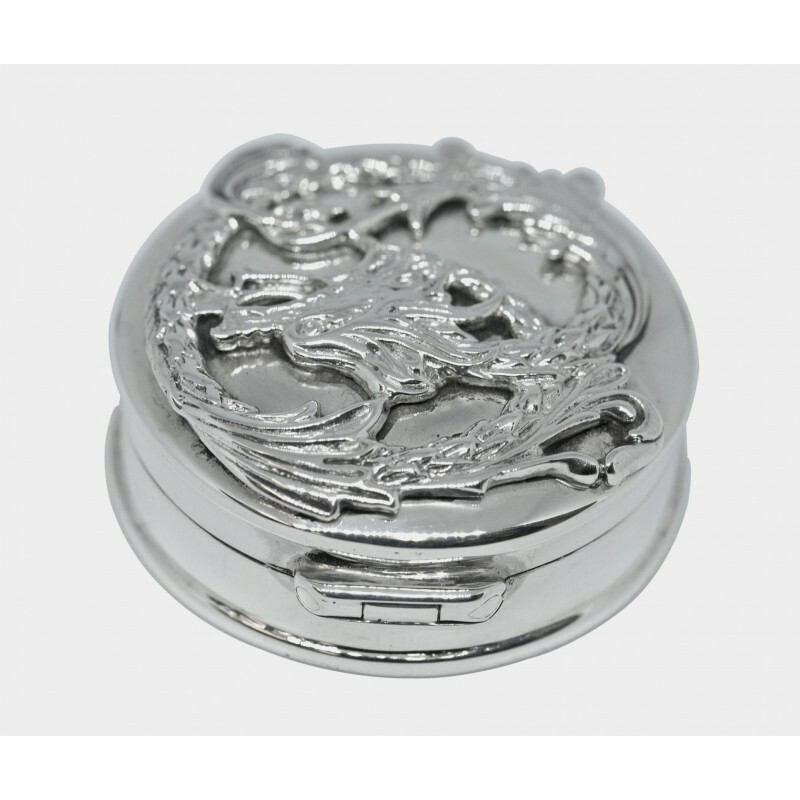 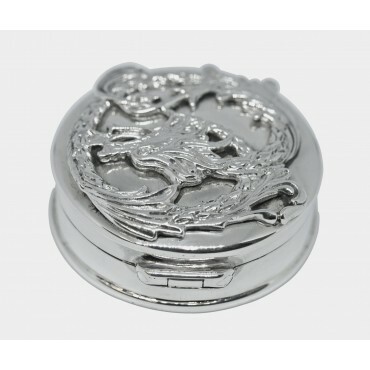 The sterling silver dragon pill box has a beautifully embossed detailed dragon on the lid. Taking inspiration from travel and culture, this dragon pill box features the Chinese dragon symbol in the highest quality sterling silver. Combine these influences with modern taste and add the British hallmark, we at Ari D. Norman truly believe our creations are destined to be treasured antiques of tomorrow.